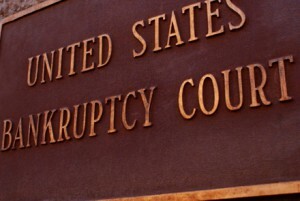 People with large debts are often hesitant to file for a Chapter 7 bankruptcy, the bankruptcy which liquidates assets in order to pay off debts. Chapter 7 often invokes images of creditors seizing all of the debtor’s property. However, important assets, such as retirement savings, are often exempt from liquidation in order to protect the debtor’s self-sufficiency. However, this protection has limits. In 2003, Anna Robinson discovered a rare copy of the Book of Mormon while cleaning out an old storage room. Her employer, the Stinson Memorial Library in Anna, Illinois, allowed Robinson to keep the text. Although Robinson, a devout Mormon, had fourteen other copies of the text, she kept the book in a Ziploc bag for the next ten years. This changed when she was forced to file for bankruptcy this year. The court trustee of her Chapter 7 bankruptcy wanted to sell Robinson’s book to help pay off her debts. The book was published in 1830 and only a few hundred copies remain today. As a result, Robinson’s book was worth several thousand dollars. Robinson claimed a state statute permitted her to keep the book. The statute in question exempts “necessary wearing apparel, bibles, school books, and family pictures of the debtor and the debtor’s dependents.” Robinson argued that her book was a bible and was thus protected under the statute. Unfortunately, Judge Grandy agreed with the trustee. The case illustrates the importance of statutory interpretation. Robinson believed that the “necessary” part of “necessary wearing apparel” only applied to the wearing apparel. The trustee, in contrast, believed that “necessary” applied not only to clothing, but also to “bibles, school books and family pictures.” Given that both interpretations could be correct, the judge looked to legislative intent in order to make her ruling. The purpose of the Illinois statute, the judge ruled, is to prevent the debtor from becoming a burden on society. According to the judge, bibles were exempt as a means to facilitate worship. Since Robinson rarely removed the book from its Ziploc bag and she had 14 identical texts, the book could not be used for daily worship. On the other hand, the book was a valuable asset worth thousands, an asset which could be used to satisfy the legal obligations Robinson owed to her creditors. Robinson’s rare Book of Mormon was not exempt from the bankruptcy proceedings. Legally, Judge Grandy made a plausible decision. Her decision was based on the text of the law and the purpose of the statute, nothing more. Still, the outcome is troubling because it touches on Robinson’s free exercise of her religion. Granted, the purpose of the statute was not religious and the judge’s opinion makes it clear that Robinson’s possession and ownership of the book was not for religious exercise. Robinson’s book was sold not because it was considered a bible, but because it could be used to generate the necessary funds for the bankruptcy. However, this case was somewhat strange because the outcome turned on how the debtor treated her property. The judge relied on the fact that the debtor kept the book in a Ziploc bag and had over a dozen extra copies of the text. From these facts, the court decided that Robinson valued the book as a monetary asset and not as an instrument necessary to facilitate Robinson’s religious beliefs. Religious exercises do not have to be daily in order to have religious significance to the faithful. It is very likely, given Robinson’s beliefs, that she kept the book in a Ziploc bag not only because the book was financially valuable, but also because the book itself was sacred to her. The 1830 publications of the Book of Mormon were the first editions of the text. This fact alone would make the book valuable to a practicing Mormon, regardless of the monetary value of the book. Robinson had no legal right to keep the book, but legislators should consider greater protections for a debtor’s religious belief in future cases. I am representing Anna Robinson in a pending appeal of this decision. I am very troubled as well. The judge’s decision seemed to set up and legitimize a procedure on how to decide whether one can exempt (and thus keep) a bible. This procedure requires a bankruptcy judge to decide which of several bibles that one possesses, best meets their worship needs on a daily basis. Shouldn’t that be a personal decision between herself and her God? An original Book of Mormon has a different religious significance from the newest edition you can pick up in a retail book store. It would be a holy relic. Similarly, you can buy a clear plastic cross made in China for a dollar at a gas station or truck stop. Should we conclude that that item has the same religious significance and is more fitting for devotional purposes than the original cross (were it still to exist) that Jesus himself was crucified upon? Of course not. In exercising one’s faith and religion a holy relic or a bible of great historical and religious significance has importance far beyond daily devotional aids. It can be far more inspiring. It can be used for evangelizing by inspiring interested potential members of the church to come to a meeting to learn about the faith. A regular everyday bible does not have that same attribute. Here, a bankruptcy judge took it upon herself to decide that this bible, among several bibles possessed by the debtor, is not the most fitting for her devotional purposes and therefor it is outside of the intent of the drafters of the exemption statute. Therefore, it must be taken from her and sold to pay her creditors. Even the act of selling a bible to get a pecuniary benefit from the word of God seems blasphemous. Maybe that was part of the intent of the statutory drafters? Thank you for representing Ms. Robinson, especially since a lot of people don’t have the legal representation they should when filing for bankruptcy. I agree that courts are hardly in a position to determine what sort of religious significance a person can ascribe to property and that the “daily devotional aid” is not a standard that should be applied. Unfortunately, the statute too easily lent itself to such a reading and that is a pretty big oversight. I neglected in my post to mention what I thought the intent of the statute was. On its face, the statute exempts items with personal significance: clothing, family portraits, and the like. One could argue, and I’m sure you considered it, that the statute meant to exempt personal items regardless of monetary value. Still, the fact that the case is about a holy relic and the Constitution protects free exercise of religion gives the bible argument more weight. Regardless, I wish you the best of luck on appeal and I hope that Ms. Robinson can keep the book which rightfully belongs her!